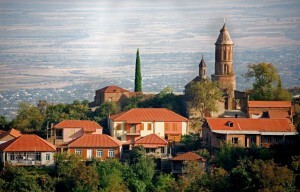 Kisiskhevi, the village where we have our house, is in the Alazani valley, situated in the province of Kakheti, which is Georgia’s leading wine region. It’s a short, ninety-minute drive from Georgia’s capital, Tbilisi. The journey to Kisiskhevi takes you across the Tsiv-Gombori mountains and some of the most beautiful scenery in eastern Georgia. It really is worth going just for the drive! And there are plenty of spots for picnics along the way. 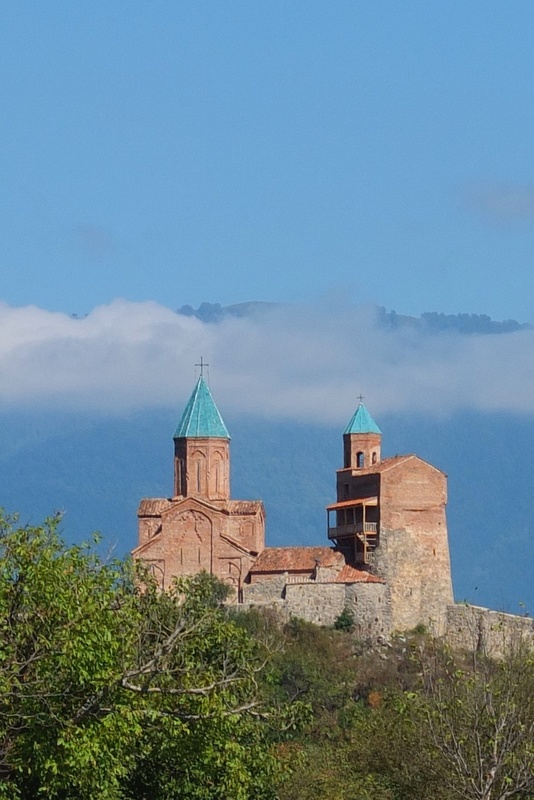 Kisiskhevi is just 10 minutes from the region’s principal town, Telavi, but also only a short distance away from some of the most beautiful ancient churches and monuments in Georgia, like the medieval Alaverdi monastery complex (which also now includes one of the best wineries in Georgia, run by the monks), Iqalto with the remains of its 11th century academy and winery, the stunningly beautiful Gremi, the 6th century Nekresi and Shuamta, the mountain-top town of Sighnaghi and the 19th century wine estate of Aleksandre Tchavtchavadze with its lovely English garden. 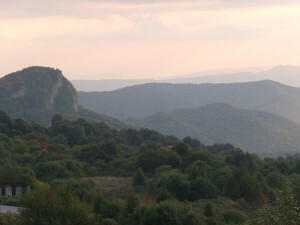 There are many activities that it’s possible to organise from the house: walking tours, fishing, hunting (in season), adventure driving in the mountains; horse-riding, visits to the beautiful Lagodekhi nature reserve, wine-tasting and Georgian cookery classes by Temuri’s wife, Khatuna, who is an expert at the delicious, herb-infused dishes of eastern Georgia. 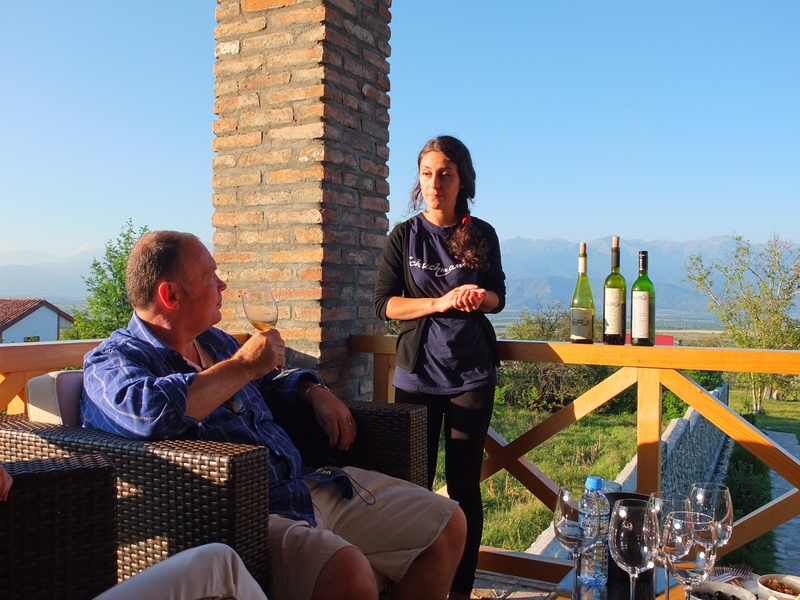 And for those who want to know more about Georgian wine-making, Temuri is always on hand to share his knowledge and in the autumn ready to involve guests in the harvest, the rtveli. You may also like to visit the German-owned Schuchmann winery, which is just a ten- minute stroll away from the house. 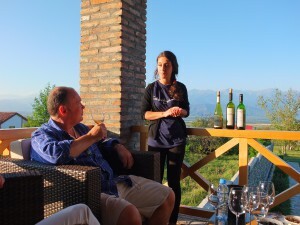 They do tastings and tours of the winery and have a good restaurant and terrace with a lovely view of the mountains. 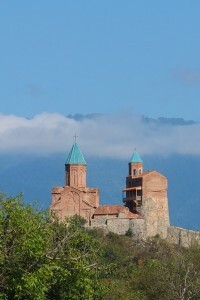 Or you can just laze around the house, enjoying being part of a Georgian village, shopping in Telavi market, cooking, studying, writing, painting or taking photographs. Aside from our book collection, there is a chessboard and a backgammon board and, for those who cannot bear not to be connected, there is free wi-fi.